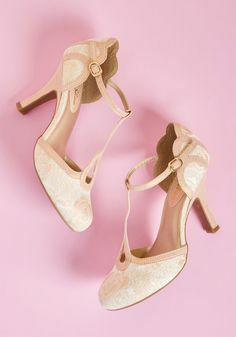 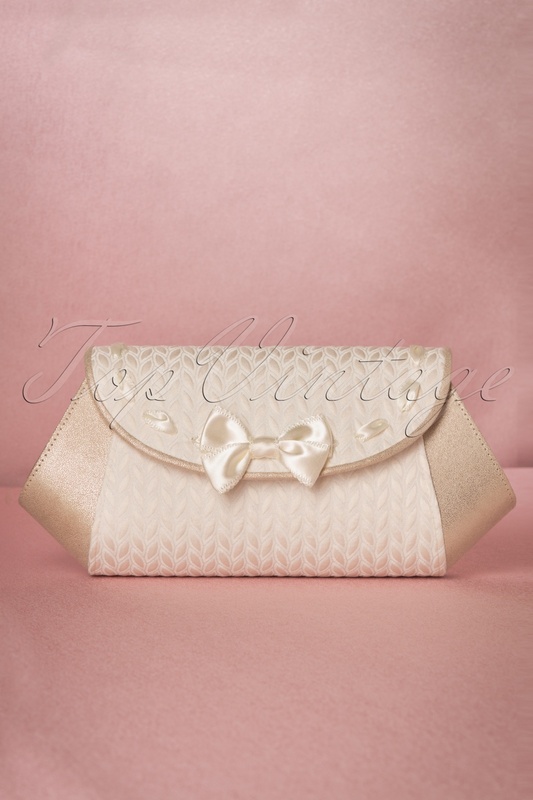 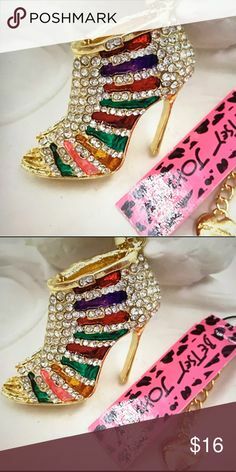 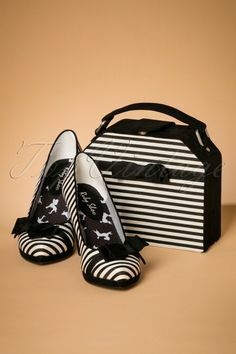 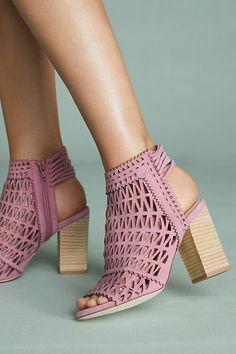 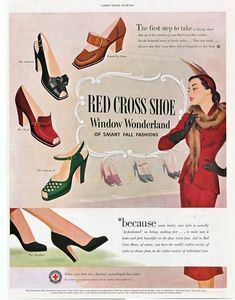 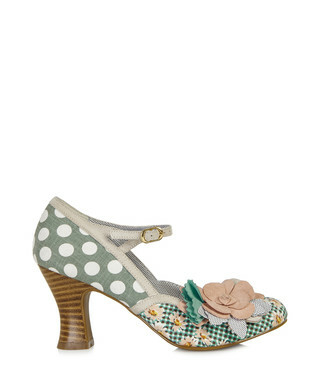 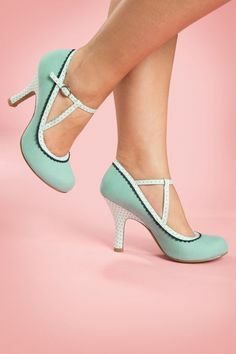 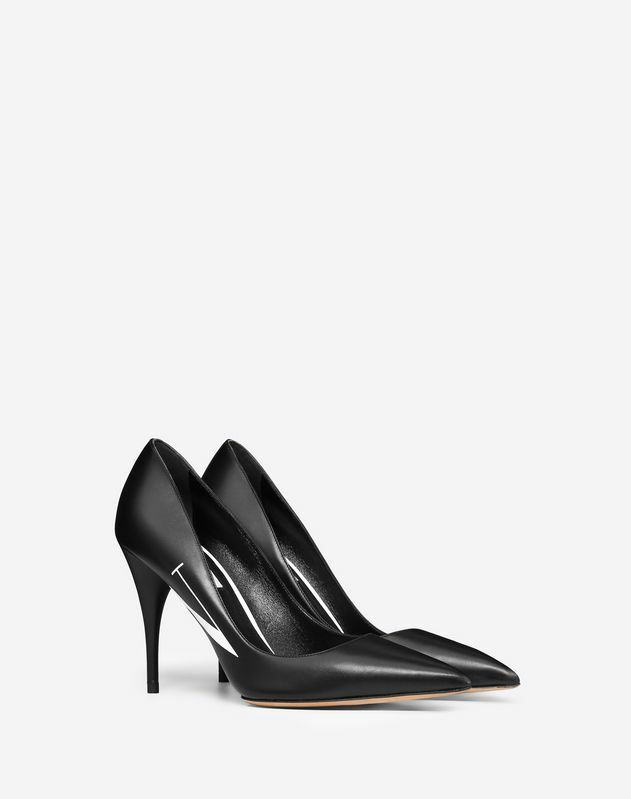 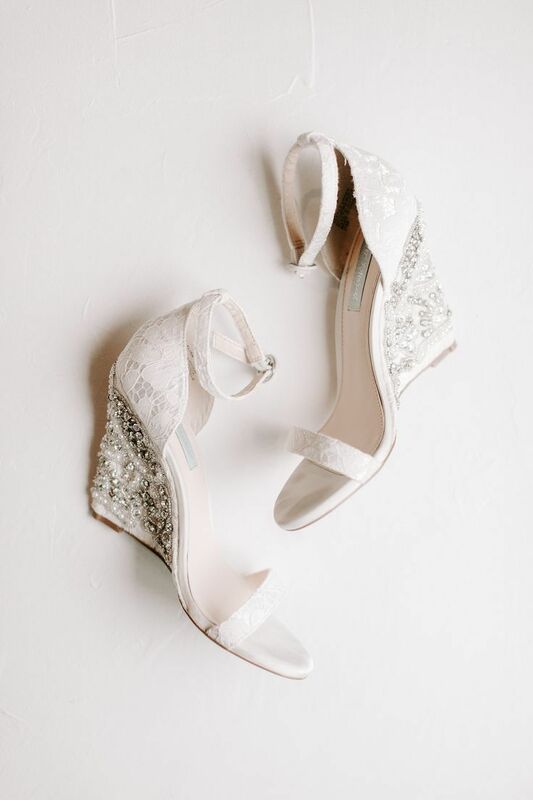 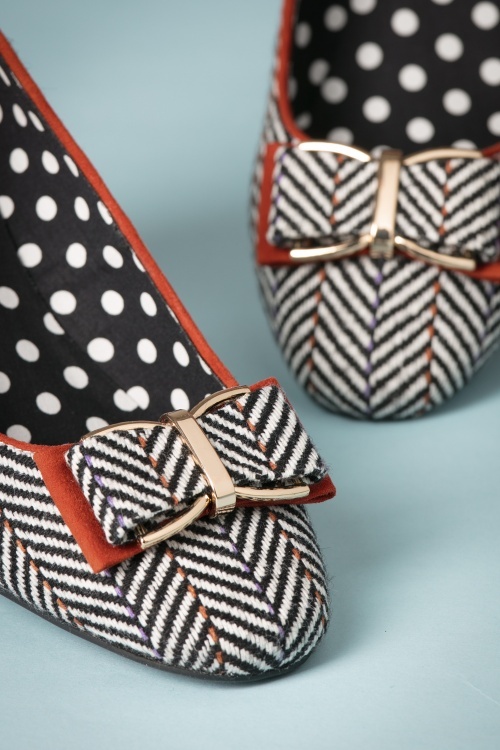 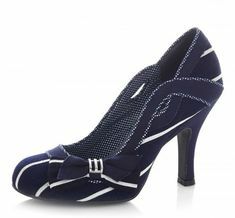 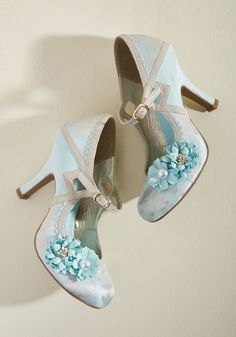 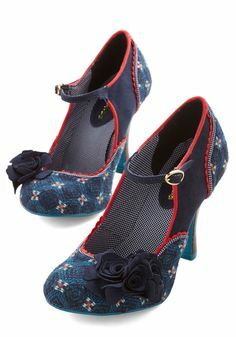 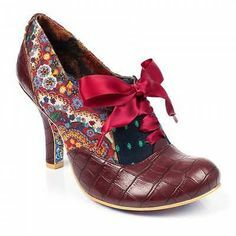 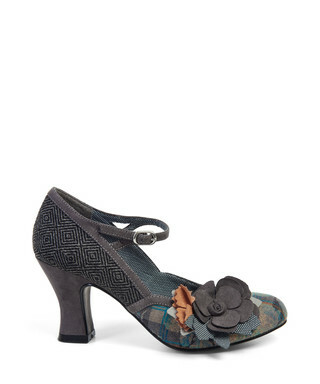 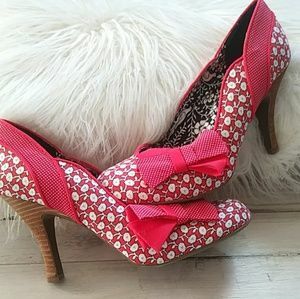 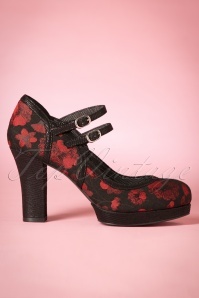 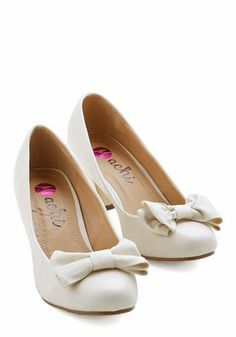 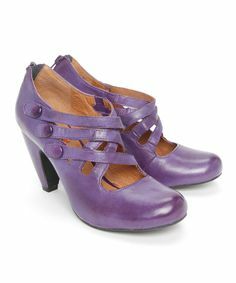 Betsy Johnson Busy Making Friends Heel I like this one. 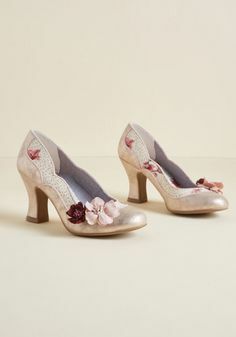 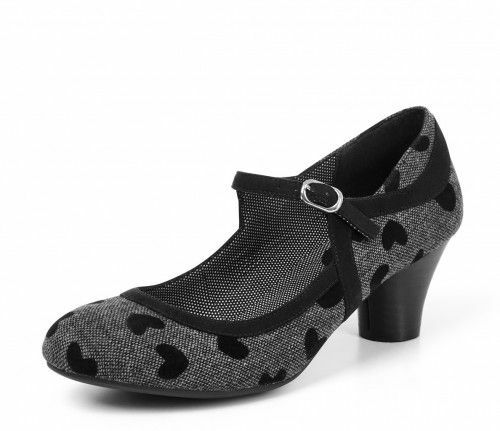 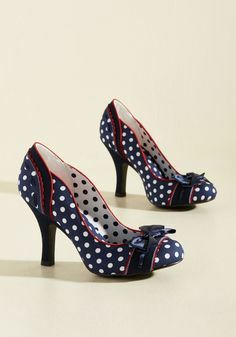 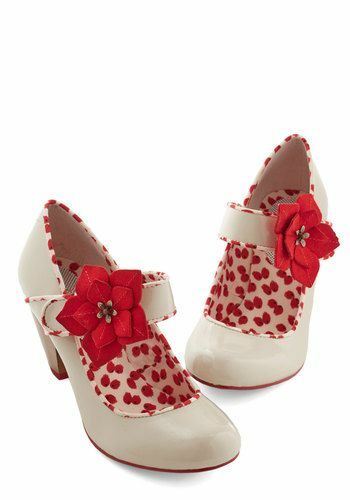 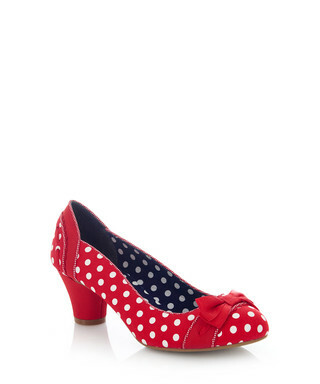 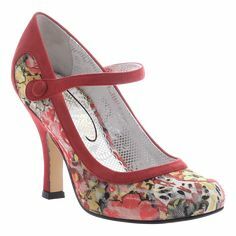 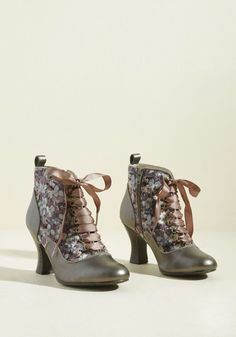 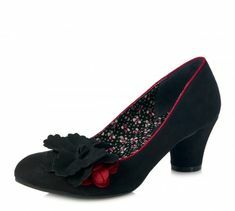 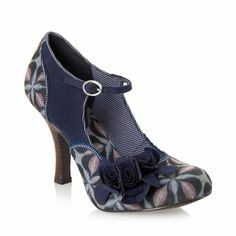 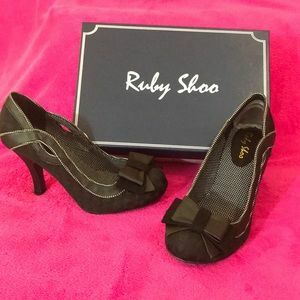 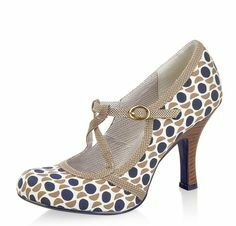 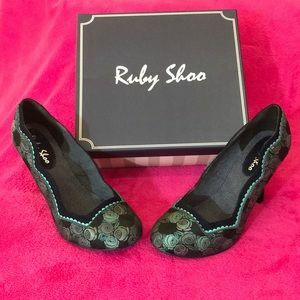 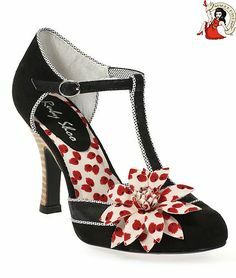 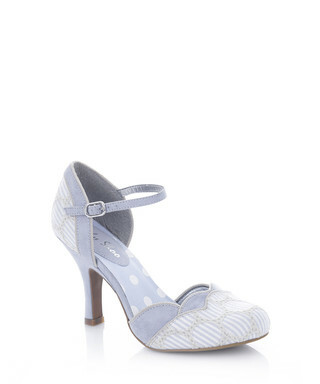 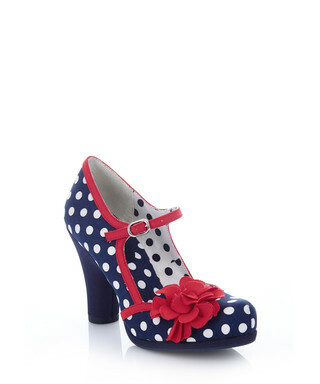 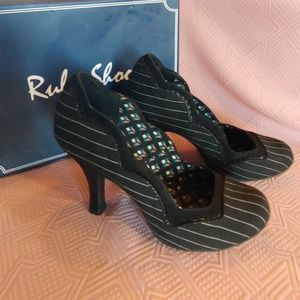 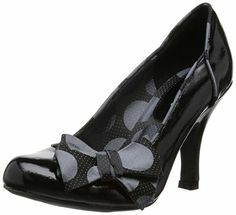 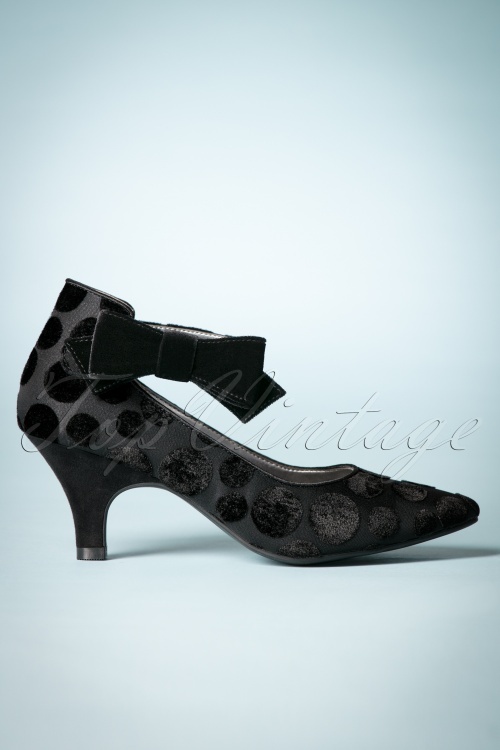 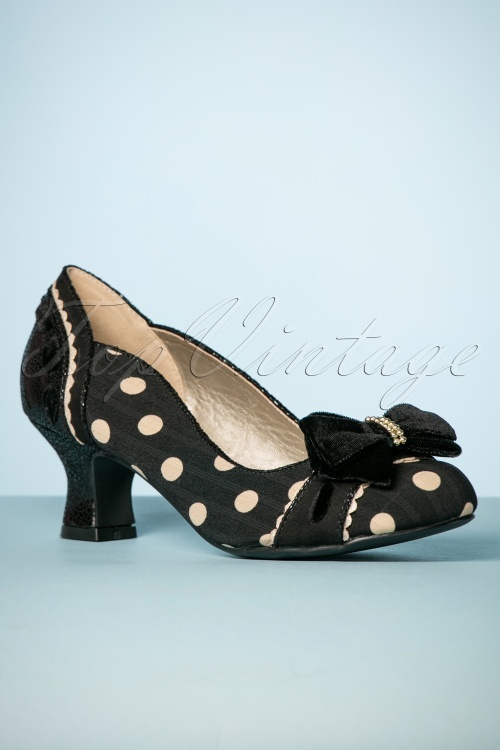 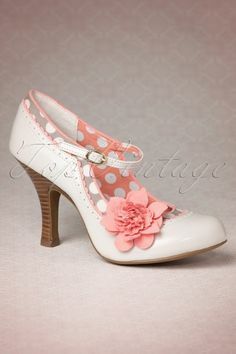 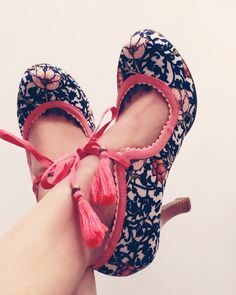 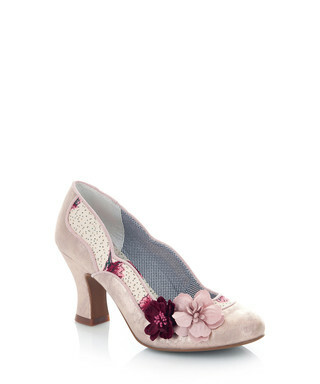 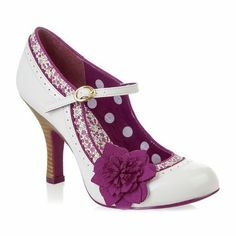 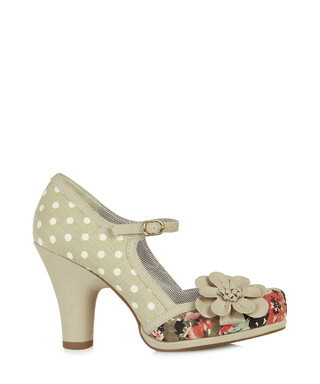 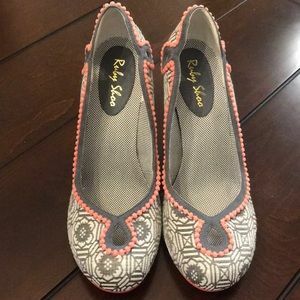 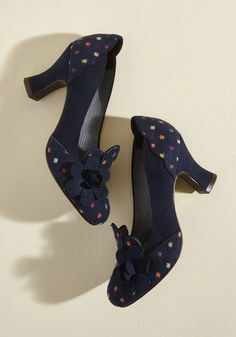 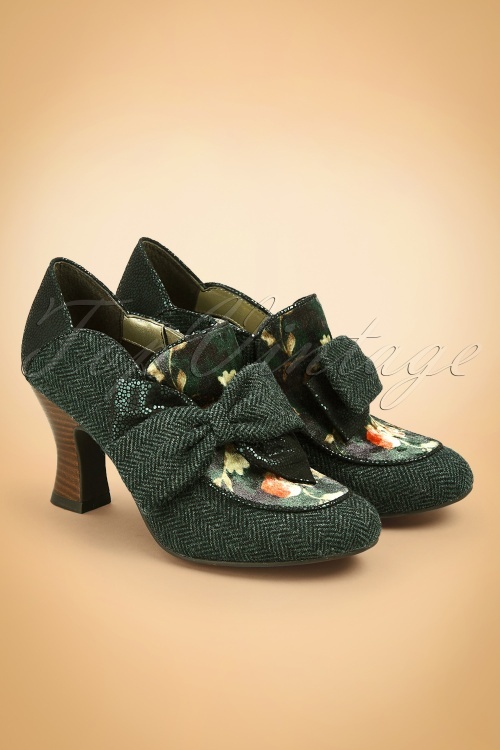 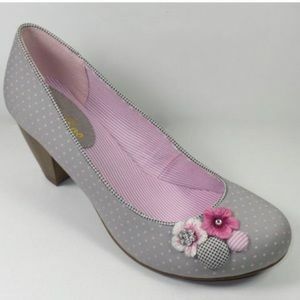 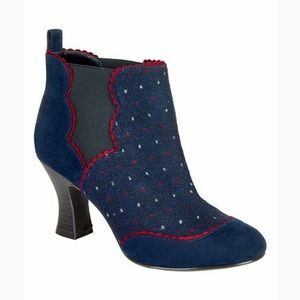 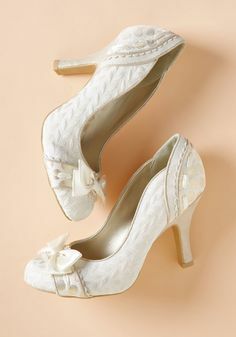 Ruby Shoo pearl grey with pink Polka dot heels 5 Ruby shoos in a cute wooden heeled style with a floral and button accent on the toes. 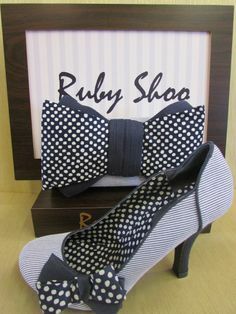 Straps and polka dots. 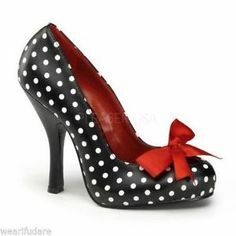 Two of my favorite things to wear.